Since our last installment I slipped in a ninja-edit to one of the configuration files. This was to ensure that our sole service was marked as transient rather than the default Windsor lifestyle of singleton. This was pointed out to me by an eagle-eyed commenter and was an oversight on my part. So we’re now at rev10 and ready to roll once again! In our last post we tidied up a few bits and improved our code-base rather than actually adding features as such. This time we’re going to move down into the persistence and start to drive out this notional layer. Next time we’ll make our new repository more useful and finally hit the database! … OK perhaps not. Anyway, today is the supposed release date of the first CTP of the new Microsoft System.Web.MVC framework. As you’ve no doubt seen in previous posts this is a pretty big deal to me. Some news if you haven’t read it elsewhere: the ASP.NET 3.5 extensions CTP is due for release at some point next week. My primary interest being MVC by far, then Astoria I guess. I can’t wait to start fiddling with the MVC framework. Good work Microsoft! Check out ScottGu’s post here for more information. I’ve finally got round to installing the RTM edition of VS2008. Apart from taking the best part of 5 hours, including removing the beta version I had installed (and had been using for the last few months solid), everything has gone pretty much without incident. I say “pretty much without incident” as I did have one pant-wetting moment when the installer rolled back due to some nondescript assembly failing to install correctly. However, the time honoured fix: i.e. reboot seemed to have done the trick. The project I’m working on at the mo has already been upgraded to the new VS2008 format way-back when I had installed the beta so no troubles there either. 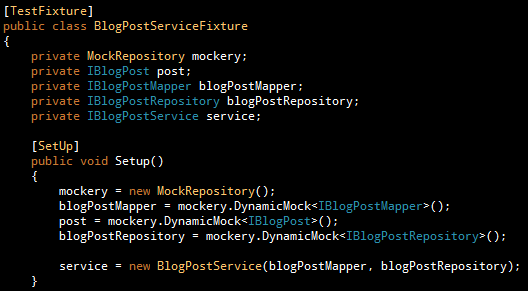 ReSharper and VisualSVN are all fine and dandy. My settings have also crossed the chasm, so all-in-all not a bad install experience pour moi. Speaking of ReSharper, we need a new edition taking care of the 3.5 language features post haste! Damn. I’m late to the party and I’ve only just recently started using Vista for development. One thing I’ve just stumbled across is that you can’t debug ASP.NET applications with IIS7 on Vista Home Premium, as Windows Authentication is disabled and cannot be enabled in this SKU. Hmmm, upgrade here I come. Ok so in the last post I talked about some of the more obvious issues I have with ASP.NET and web forms development. Thankfully, the Castle Project’s MonoRail framework goes some way to alleviating that pain. Under the covers, MonoRail is a full MVC compliant framework essentially comprising a front controller sitting over the ASP.NET infrastructure intercepting specially formed URI’s. The HTML ends up in the browser via your choice of view engine, with NVelocity (a fork of the Jakarta Velocity port) the default and most accessible, Brail being the Boo dynamic language and most performant option and of course a cruddy web forms engine too which nobody should use. 🙂 I’ve been comfortably using NVelocity for a while now, and provide testament that its not difficult to pick up. In the above example the publisher argument is passed into the Save action fully constructed via the form or query string values posted! This saves on the usual binding and scraping stuff you normally do in web forms and which almost always ends up sitting in the code behind untested. Note: the databinding stuff is of course very flexible and my example above just touches on the possibilities. The model can be supplied with an ActiveRecord enabled domain model. This of course abstracts away NHibernate behind the scenes. Unfortunately generic collections support doesn’t work right now but I believe that work is firmly underway. Edit: Generic collections are supported, as long as you’re running from the trunk. Domain entities are adorned with the necessary attributes defining how their properties are mapped to your data source. This is a departure from the usual hbm XML mapping files but just as expressive. ActiveRecord also supplies simple validation in the form of special attributes including email validation, regular expression validation and the like. Reusability of UI components is achieved via ViewComponent. These can support nested sections, parameters etc. Built into MonoRail are a number of helpers which allow you to perform the usual AJAX stuff such as calling remote server side methods and callback support, Scriptaculous and Effects2 client side goodness. In fact the helper extensibility is a nice way of adding extensions and wrapping commonly performed functionality in the view. Like RoR, MonoRail prefers convention over configuration. The project structure skeleton is the same throughout all MonoRail enabled solutions. The MonoRail installer also includes a handy templated solution provider for both VS.NET 2003 and 2005 to create the project skeleton and testing is included. Accustomed MonoRail developers can open any solution and just know where things are going to be. One of the sore points of ASP.NET development was the unit testing difficulty. MonoRail overcomes this by enforcing the MVC pattern. Controllers are testable classes sitting outside of the usual ASP.NET cruft. There are a number of framework features within MonoRail which specifically aid testing. Like RoR, controllers adorned with the necessary scaffolding attributes can automatically produce the basic markup and logic for CRUD operations on your domain model. Handy for prototyping or creating rough-and-ready data entry capabilities in your applications. MonoRail supports IoC via the Windsor container. Controllers and their dependencies/parameters can be injected by the container if necessary. I don’t really see this as an issue but can see that some ASP.NET developers will. Fans of the big UI library packages will complain, but there is this old concept of HTML and it is surprising how flexible it can be 😉 Most use of control libraries I have seen has been misguided, by this I mean they’re usually added to a screen just because they can. The web forms control library isn’t such an issue as things like calendars, grids and the like are not to difficult to duplicate the MonoRail way. Most ASP.NET developers are what can only be described as morts. They’re not familiar with design patterns and good practices such as clean separation since they came from either ASP or VB (procedural backgrounds) so this stuff doesn’t come naturally. If you’ve used NHibernate you’ll pick up the ActiveRecord stuff in no time. Learning the template syntax for your chosen view engine is of course another consideration. In summary, the benefits of using MonoRail over web forms are clear. Clean separation of concerns, testability, reduced complexity and none of the web form cruft and artifacts. MonoRail won’t suit everybody, but even if you’re happy with web forms it’s definitely worth a look. Personally I think its the only way worth programming in the enterprise with ASP.NET today. … Of which there are several: post-backs, view-state and complex page life-cycle immediately spring to mind. In trying to do anything slightly dynamic with the control tree you run into view-state problems difficult to debug and frankly just not worth the bother. Web Forms and control development in general is a black art thanks to the huge and unwieldy collection of events kicking off during the page life-cycle – which nobody really understands save for perhaps God and Scott Guthrie. In trying to create an abstraction over the inherent statelessness of HTTP, which by definition should reduce complexity, ASP.NET has only served to add more. Yes, ASP.NET utterly bastardises HTTP. Make no mistake. Code behind is a decent concept. Providing a means to remove application logic from the view – you know, seperation of concerns and all that. However, the common use for the code-behind is more often like an application logic purgatory if you will – between the final dispatch to heaven (the middle tier) or hell (the view). OK so ASP.NET doesn’t force you to put logic in the code behind but it doesn’t exactly encourage you not to? The path of least resistence is always the path most followed, which in this case means piles of code which should sit in a lower tier being present in the code behind. It is extremely hard to write testable code in ASP.NET. Mainly due to the previous point regarding code behind. Logic creeps into the code behind where it is impossible to get to by conventional testing. Sure you can write acceptance or end-to-end tests using Selenium or some other automated UI testing tool, but i’m talking closer to the metal tests… as-in unit tests. Most of them are overly complex and rely on piles of viewstate to get things done. ASP.NET 2 helps reduce the payload a little via control state but this is just another quirk if you ask me. Controls produce dodgy markup (ok I’m aware of the whole control adapter thing, but why should I fix MS broken HTML?) and bizarre ID tags making cross browser and standards-based web development a real bane. Some of the other weirdness such as handling OnDataBinding and OnItemCreated etc and reaching into the control tree just to highlight a particular row or cell is a real pain. Some of the big-boy controls have this kitchen sink approach i.e. datagrid, gridview etc. The validators, while a nice concept, don’t really cut it in the enterprise world. Where you’d almost certainly be performing proper validation in your DomainModel someplace. ASP.NET and the .NET framework in general were created to sell tools and server licences, which is clearly evident given the tight coupling with VS.NET. Take VS.NET out of the picture and ASP.NET development is a hugely different and less pleasurable experience. Show me someone who can create an ASP.NET web application using Notepad? Of course thats not what we should be using in the enterprise but its a good benchmark for both a language, or framework simplicity. There are things I do like about ASP.NET. I like the extensibility of the provider model, the hosting aspect, the HTTP pipeline and extensibility points such as modules and handlers are nice – especially in IIS7. It scales too, but a lot of that is due to IIS from 6 and on really. I’ve grown attached to the vibrant ink theme syntax colouring and black background when working on Rails projects with TextMate. The good news is you can use a similar colour scheme in VS.NET by importing these settings. I find the black background much easier on the eye, especially after prolonged periods of hacking. 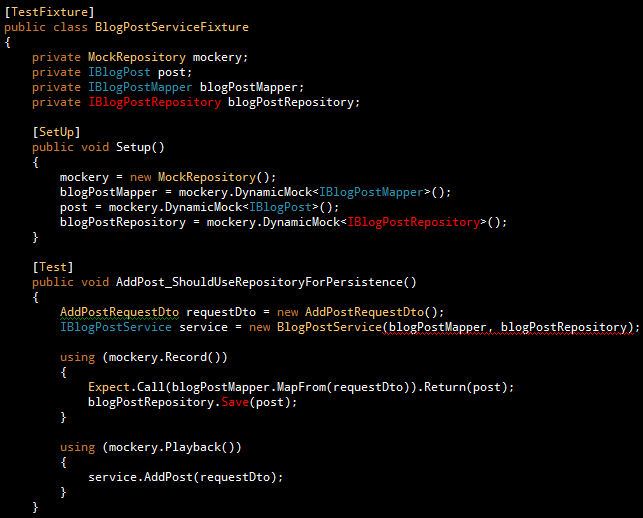 Coupled with the Monaco font available here, you can bring some TextMate aesthetical goodness to VS.NET. With reference to my last webform designer woes post, someone has pointed me to the upcoming webforms designer in Visual Studio codename Orcas. Apparently Orcas takes the design surface from Expression Web, which is an altogether nicer experience than that of the current Visual Studio products. Good news as well is that Orcas supports multiple build targets… So .NET 2.0 compatibility is guaranteed too! I’m downloading as I post this and I’ll post a mini-review of sorts as soon as I’ve had a thrash around.